$8,000 every month from your home? Each and every day thousands of money judgments are being awarded in our civil courts in an ever-increasing tide of unpaid debt. But what you probably didn't know is that a staggering 79% of all these judgments are unpaid because the courts can't force the losing party to pay. A money judgment entitles the winning party to use many powerful legal tools to collect the money through the court system. Wages and other income can be garnished, property can be taken and sold, bank accounts can be frozen and seized, driver's licenses can be suspended... these are just a few of the many tools in the enforcement toolbox. But the sad truth is most winners in court don't know how or where to begin. Unfortunately, unless the judgment holder (the winner of the lawsuit) knows how to find the debtor's assets and use the court system to collect, there is little else they can do. The results of all these hard-won legal battles is astonishing... literally BILLIONS of dollars in civil debt, collecting interest - and dust - in someone's filling cabinet. This is where the Judgment Recovery Specialist plays a valuable role. The winning party can legally transfer ownership of the judgment to someone else to enforce it. The person assigned the right to enforce the judgment can then pursue the collection of the judgment as their own judgment. I will show you how to earn your piece of this billion dollar pie - from home - while helping these judgment holders see a valuable return for all of their previous effort and hard work. 98% of the time you won't even have to leave your home! All you really need to do is give this business an honest try, follow the step-by-step guidelines I've developed for you, and you will know everything you need to earn a great income with a successful judgment recovery business. I know a lot of people have jumped in to many home based business opportunities (including myself) hoping to find that special business that will allow you to prosper in your life. What happens is, you see one that looks good, so you go for it. Then, you see another one, and you go for that one too - and so on - until your plate is so full and you're spread so thin, you go crazy trying to work them all. Don't get me wrong - if you're honestly happy with your life, making money and keeping up - that's great! I hope you continue to do well. But truthfully I think there a lot of good, ethical people out there spinning their wheels and not making any money and are worrying about how to pay the bills. Most people are very tired of working hard to earn money and still not making ends meet. I believe the secret to a successful home based business is that you must get involved with a something that will fill a 'niche' - the type of business that will provide a much needed service in any community. Not just another 'get-rich-quick' scheme, but something that really works. If you know in your heart that the above statements are true, and you're interested in learning more about a judgment recovery business, then I hope you'll take just a few more moments of your time to explore this page and learn about the vast amount of opportunity and prosperity available at your local court house. 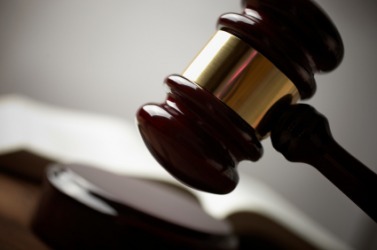 Judgment Recovery is one of the most legitimate, solid business opportunities available today. It's not multi-level marketing, network marketing or any other kind of 'get-rich-quick' scheme, as are so many of the opportunities we are bombarded with today. This is a valuable, much needed service in any community. There is truly little, or no competition anywhere! Why? Because this is an unheard of service industry in its infancy - but soon it's going to explode! Let's talk for a moment about why this is such a needed service. When a person takes a dispute to court and wins, he or she is awarded a judgment, usually for money. Unfortunately 80% of judgments awarded in court are never collected. The winner of the judgment (the judgment creditor) can legally assign the judgment to someone else for enforcement - it's just a simple matter of paperwork. Civil judgments are assignable in all 50 states. The person assigned the right to collect the judgment can then pursue the collection of the judgment as if it were their own. Judgments are valid for an average of ten years in most states, and they are typically renewable. After a couple of years have passed, the average person who has been unable to enforce their judgment will usually forget about it and go on with life. This is money they have essentially written off. I will show you the most effective ways to contact these judgment holders, and how to get more of these judgments to collect than you can possibly handle. When the judgment holder receives my proven solicitation letter from you letting them know that you can collect their judgment, without any up-front fees coming out of their pocket, they will be over the moon about the prospect of receiving money from the useless piece of paper they've been holding onto all these years. To them, 50% of something is better than 100% of nothing. And no - I'm not exaggerating! You can negotiate any percentage of the judgment to keep for yourself that you feel comfortable with, but most people have no problem with letting you keep half of what you collect for them. If you want to, you can even purchase these judgments up front for just pennies on the dollar! I cover both of these methods in the training program I've designed for you. A judgment was awarded two years ago for $5,257.00. The judgment holder assigns the judgment to you for enforcement. With a post-judgment interest rate of 10%, the judgment is now worth $6,309.84. You will enforce the judgment, keeping 50% of what you collect. Your income for a few hours worth of work is $3,154.92. A judgment was awarded five years ago for $4,194.00. Because the debtor owns property, you purchase the judgment outright for $335.52 ($0.08 on the dollar). With a post-judgment interest rate of 10%, the judgment is now worth $6,292.15. You will enforce the judgment, keeping 100% of what you collect, minus your investment. Your income for a few hours worth of work is $5,956.63. We're not talking about standard collection methods, here! A traditional collection agency will send dozens of ineffective, annoying collection letters that may result in a handful of successful collections. After that, they tend to let the debt fall by the wayside. A judgment creditor has the legal right to seize bank accounts, garnish wages and other business and personal income, place liens or even foreclose on property, or seize personal property and force a sale. All of these procedures are carried out by filing simple forms with the court. You can file the documents by mail, if you wish, and many court houses will even accept filings by FAX or electronically. You don't even have to contact the debtor directly, if you choose not to - all you have to do is occasionally send them legal documents through the mail. It couldn't be easier! 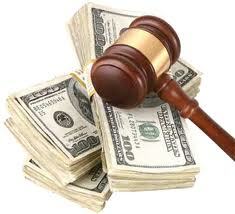 One of the greatest benefits about your own home-based judgment recovery business is the income. While it isn't likely that you'll get rich overnight, a judgment recovery business can produce a substantial, reliable and sustainable income. Here's how that works... If you were to send my specially designed solicitation letter to 100 judgment holders, you'd likely end up with 30 to 35 judgments to collect. Figure that out of those 30-35 cases, you'll likely be able to collect roughly 50% - 60% of those judgments. This means you'd collect 15-17 judgments. Let's also assume that the average judgment awarded is for $1,500. Remember, you'll be keeping half of what you collect. That works out to be around $12,000 in gross income you'll keep for yourself. You're also entitled to post-judgment interest that has been accruing since the judgment was awarded. Does that sound good to you? Great! Now let me give you details about how I will guide you, step-by-step, to financial independence with the professional Judgment Recovery Training Program I've designed for you! Just click on this link for detailed information about the program.